It's National Dog Bite Prevention Week. This entire week is dedicated to educating people of all ages about how to prevent dog bites. There is an estimated population of 70 million dogs living in U.S. households right now. Nearly 5 million (reported) dog bites occur in the United States each year. Most of these bites involve children. We can change those statistics and help keep kids and families safe! The majority of dog bites, if not all, are preventable. 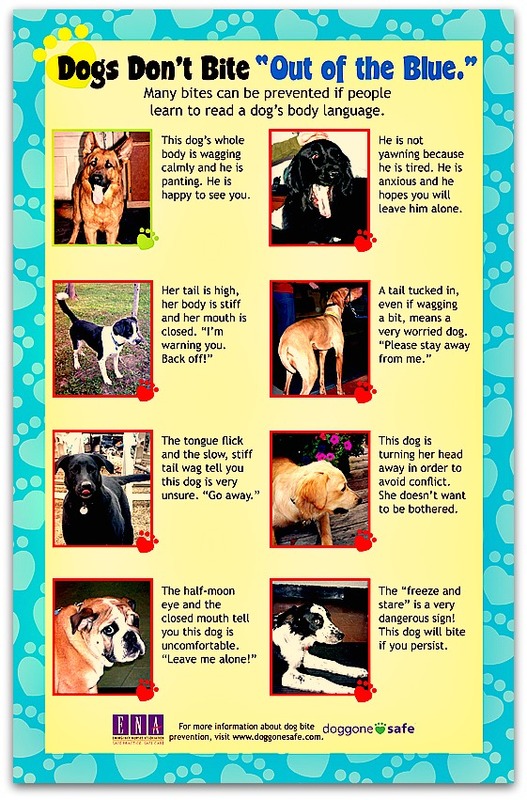 We as dog guardians, parents, educators and family members can learn how to "read" a dogs body language better and teach our children how to recognize the warning signs of a dog that could potentially be under stress to aid in preventing dog bites. This is not cute. This is dangerous. 5. Teach your kids to Speak Dog, and only interact only with happy dogs! So, we've learned some dog behavior warning signs and can watch the dog's body language and we've taught our child some of the basics of how to interact with a dog. Now what? 3. Learn the Dog Behavior Continuum: We hear it all the time, “Kids and dogs should never be left unsupervised”. That’s great advice, but what else should we be doing? Supervision only works when we know what to look for and when it’s time to intervene. We have to know when a dog is going from “Enjoyment to Tolerance, to Enough Already“ and back again. 4. Don’t assume your dog is “good with kids”. All dogs have their breaking point. We all do. 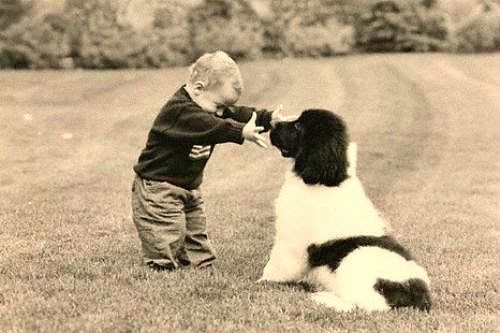 If a toddler must interact with your dog, you should have your hands on the dog, too. Even if your dog is great with kids and has never bitten before, why take a chance? 5. 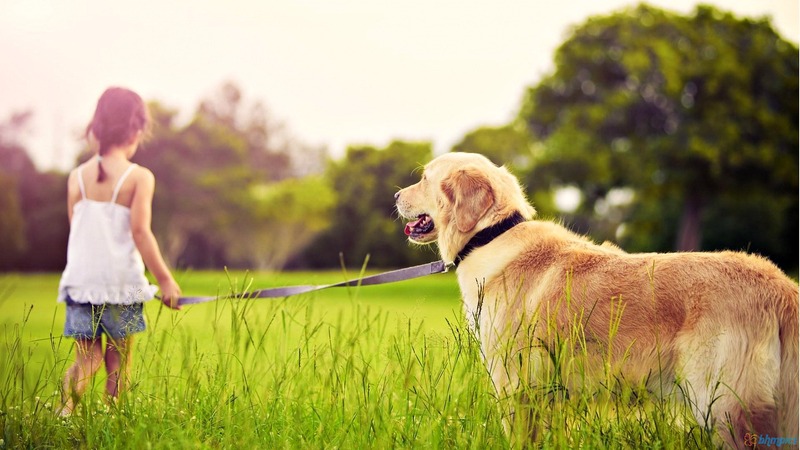 Train the dog—Take your dog to obedience classes where positive reinforcement is used. Never pin, shake, choke, hold the dog down, or roll the dog over to teach it a lesson. Dogs treated this way are likely to turn their aggression on weaker family members. 6. Involve older children with training the family dog (while supervising). 7. Don’t allow children to punish the dog, and don’t punish the dog yourself. 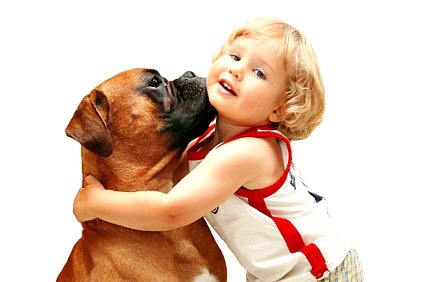 Condition the dog to enjoy the presence and actions of children using positive experiences. “My dog would never bite anyone!” Are you willing to bet your dog or your child on that statement? Why take the risk? Education is the key to safety and well being for everyone in the home. This week is the perfect time to reflect on how we can better protect our canine companions, children, and others from the preventable tragedy of a dog bite. Please share this to help educate others so we can all work together to keep dogs, kids, and families safe 365 days a year! In Love and Furry Best Wishes!